I know that its late for this post, however, I just assisted one of the users recently with ColdFusion 11 installation. This led me to the conclusion, that, there are still users who haven’t upgraded to ColdFusion 11 or are in a process of. Installation for ColdFusion is not complicated, and the installer screens are self explanatory. However, there are changes in ColdFusion 11 process. Adobe’s document https://wikidocs.adobe.com/wiki/display/coldfusionen/Understanding+ColdFusion+Server+Profiles explains the difference of various profiles introduced in ColdFusion 11. 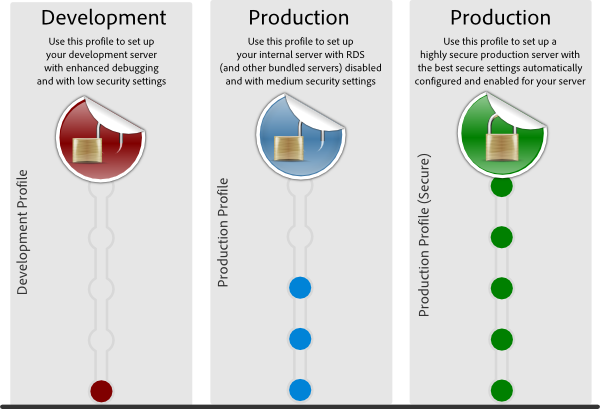 Three profiles are introduced namely – Development profile, Production profile and Production profile (secure). Need help for installation, these two demos will definitely help you to get going.